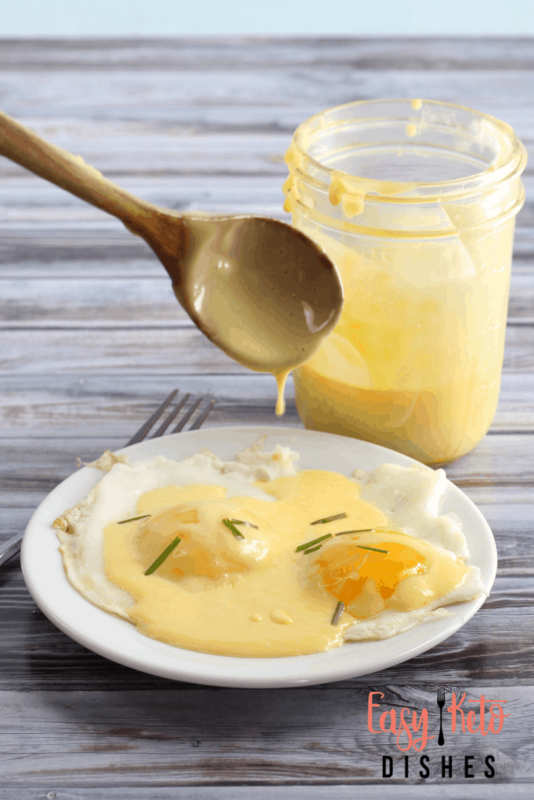 Silky smooth and lemony, this easy hollandaise sauce will take your normal egg breakfast from “ho-hum” to “oh, wow”! It’s easy to see why so many keto dieters consume a lot of eggs, right? But, they can get old FAST. So, how do you make them more palatable when you think you just can’t eat another egg? 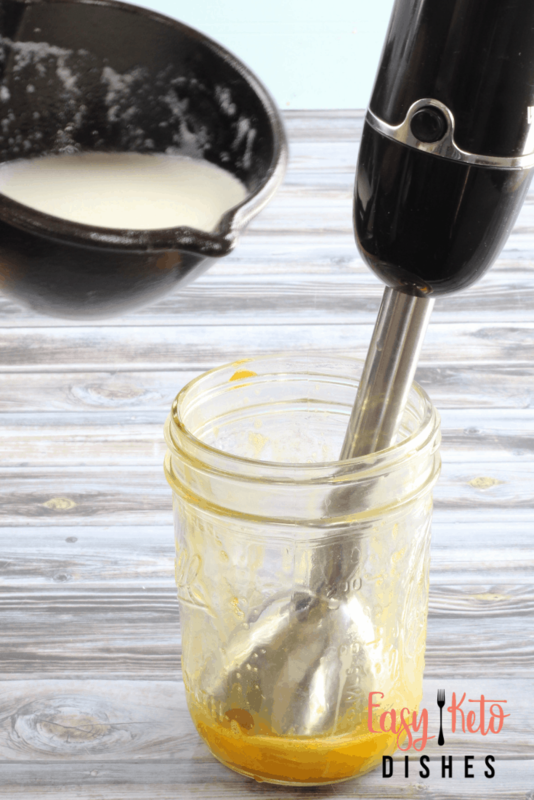 Make easy hollandaise sauce, of course. 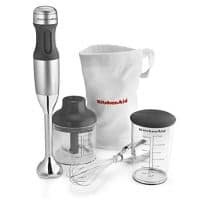 This recipe uses an immersion blender. You can also use a regular blender, if that’s all you have. If you have strong arms, or want to workout your arms without a gym, a hand whisk will also do the trick. Use what you have and you will still get great results. Make sure the butter is not too hot. Remove it from the heat after it is JUST melted. I usually take it off the heat when there is still a bit of solid butter left, and stir that in to melt. This will also allow the butter to cool a bit. Use unsalted butter, if you have it on hand. 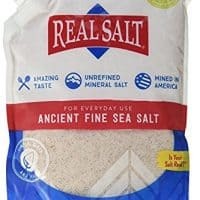 Add additional salt as desired. 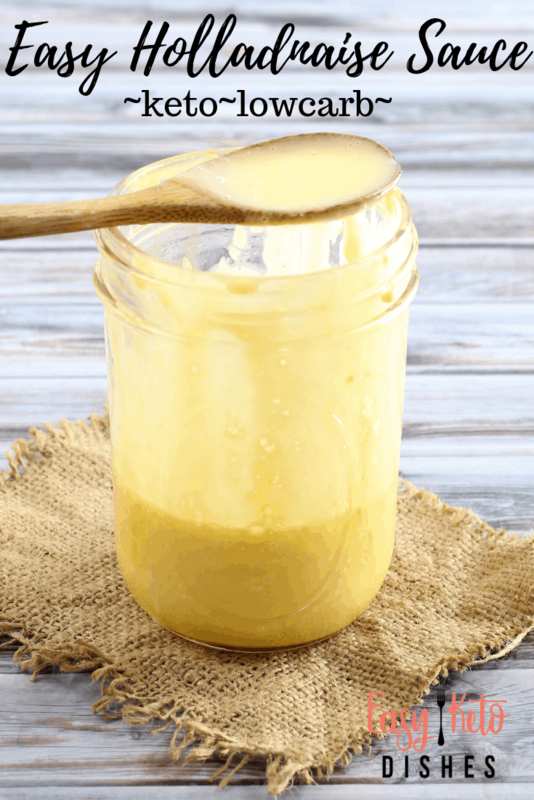 Regular salted butter is great for so many things, but too much salt can easily ruin any dish, and this easy hollandaise is no exception. 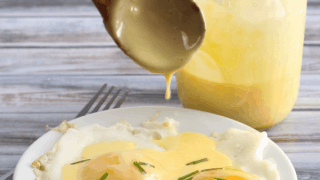 Don’t give up if it seems to thin, this easy hollandaise sauce WILL thicken as it starts to cool a bit. 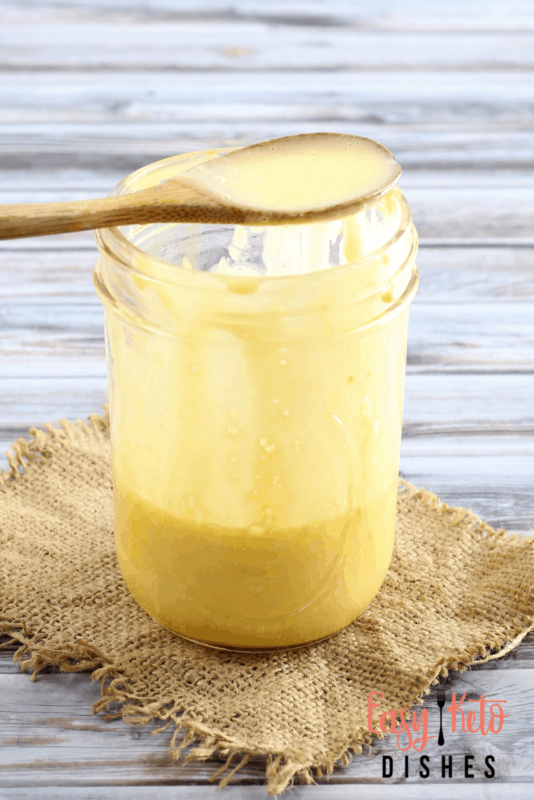 Add egg yolks, salt, and lemon juice to a small bowl or jar. Blend with an immersion blender for 30 seconds to incorporate. Melt butter over low heat until just melted, and remove from heat immediately. 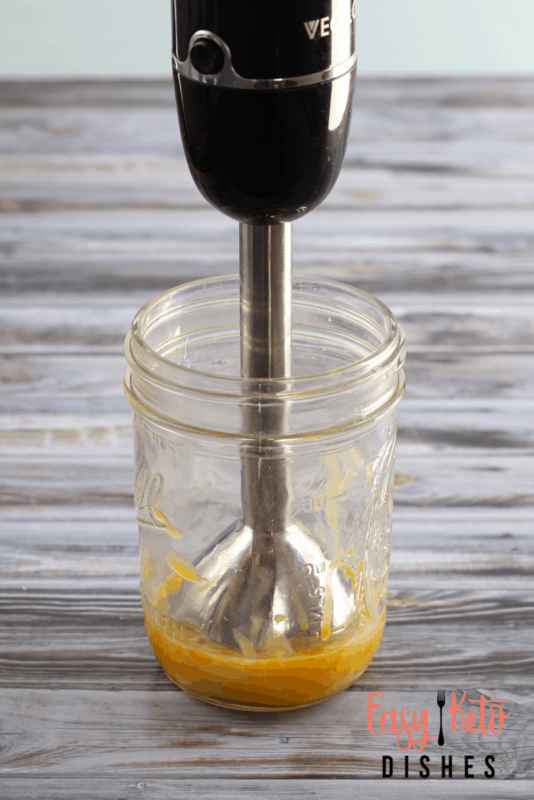 Drizzle melted butter while running the immersion blender and blend all the melted butter in. Continue to blend for an additional 30 seconds so sauce can begin to thicken. Serve over salmon, asparagus, or eggs. Store leftovers in the fridge. What is your favorite way to enjoy your keto breakfast? Be sure to let me know if you try and love this easy hollandaise sauce! While I do my best to make sure these numbers are accurate, please be your own best advocate and always double check.